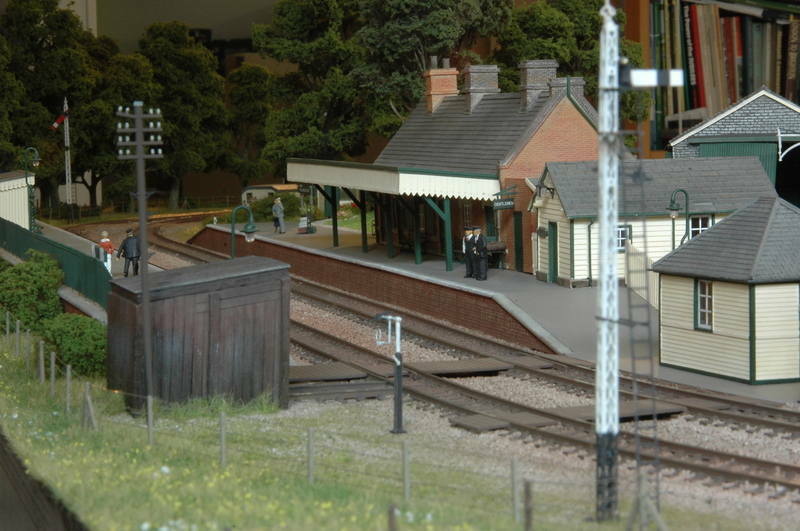 N gauge, 7'3" x 3'6", analogue control with automated semaphore signalling. 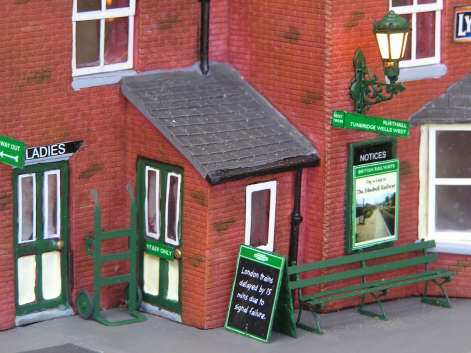 Based on Rickmansworth Church Street Station and Batchworth Locks (Grand Union Canal). 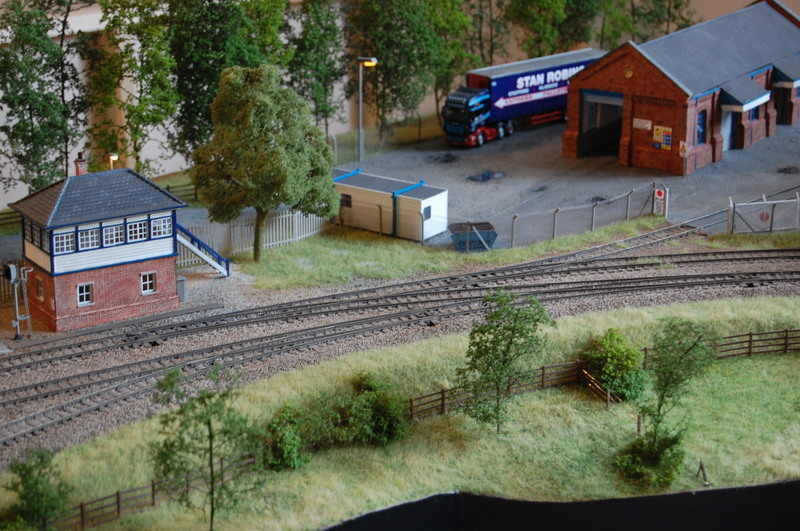 Large shed layout, OO, DCC. 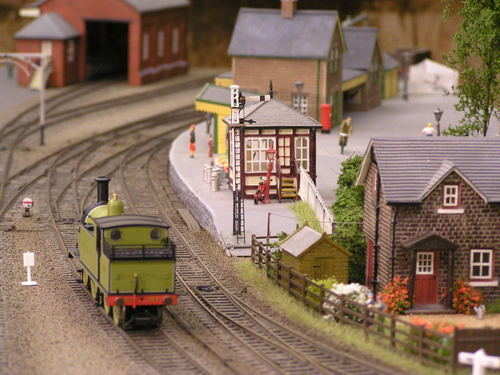 Theme - 'Waterloo to Weymouth', 1990s, running EMUs. 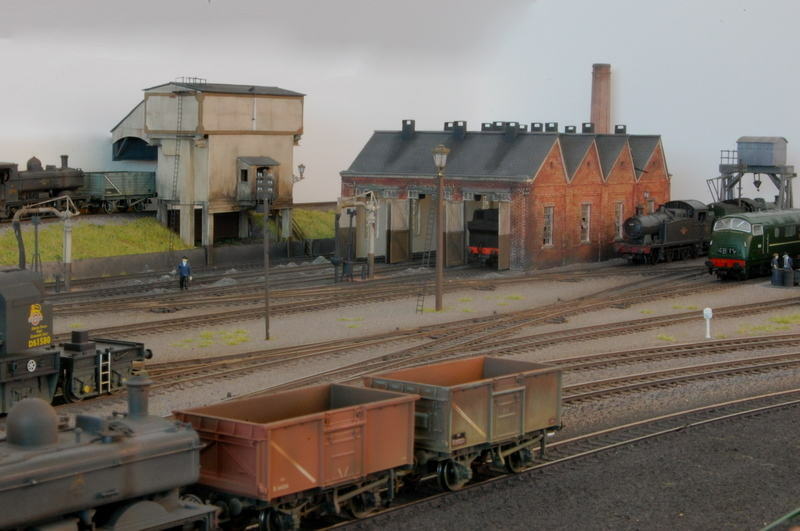 5 stations with scratch built buildings and scenic elements modeled on the real stations. 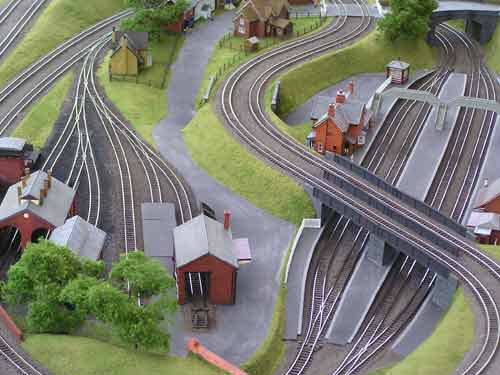 Four track main line with branches into Waterloo and Weymouth. Fully automated 4 aspect block signalling. 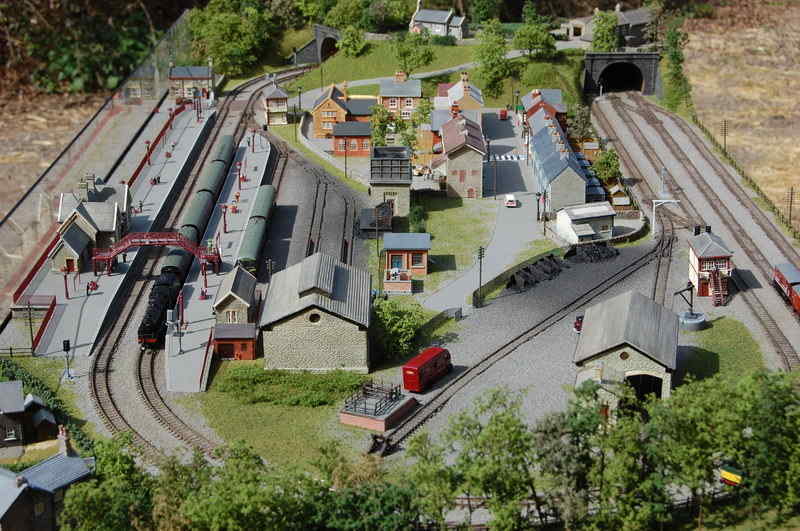 High level section running over arches with 2-train automated shuttle. 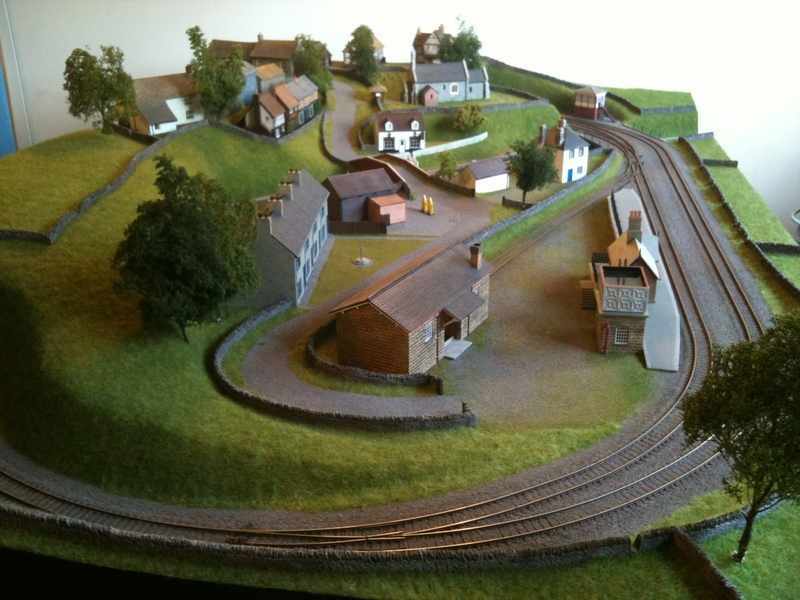 First 20' section of a 40'x20' L-shaped loftroom layout, 00-gauge, DCC. 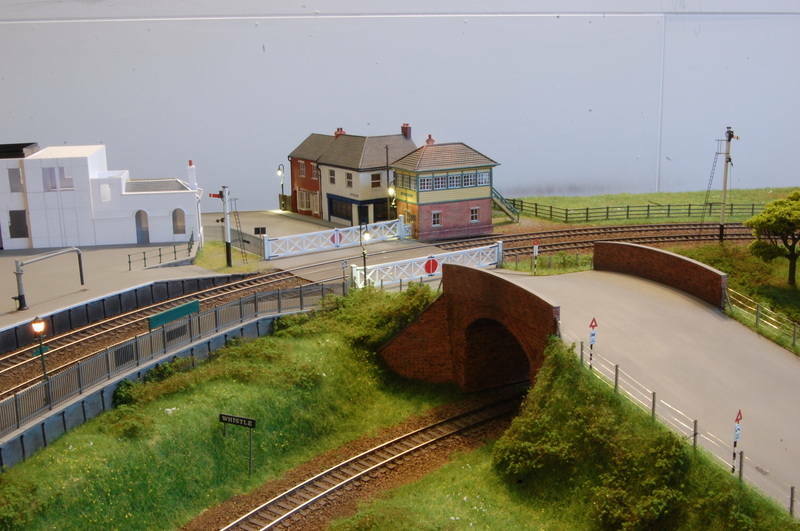 West Country coastal theme, 50s/60s era. 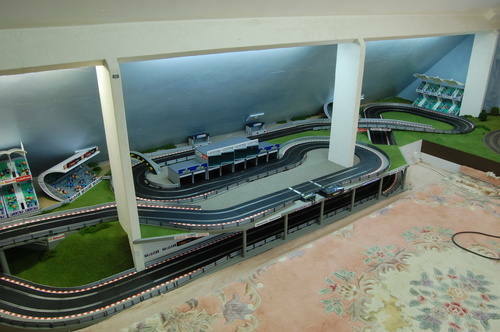 An end-to end garage layout, OO gauge, 15'6" x 2'6", DCC sound. 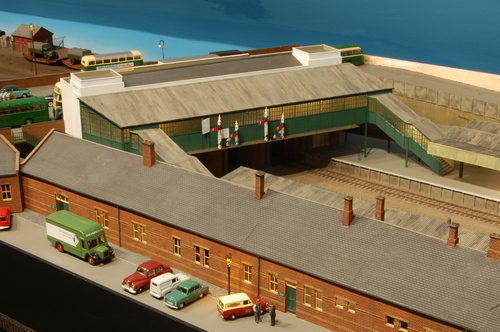 BR Midland Region, green diesel era. 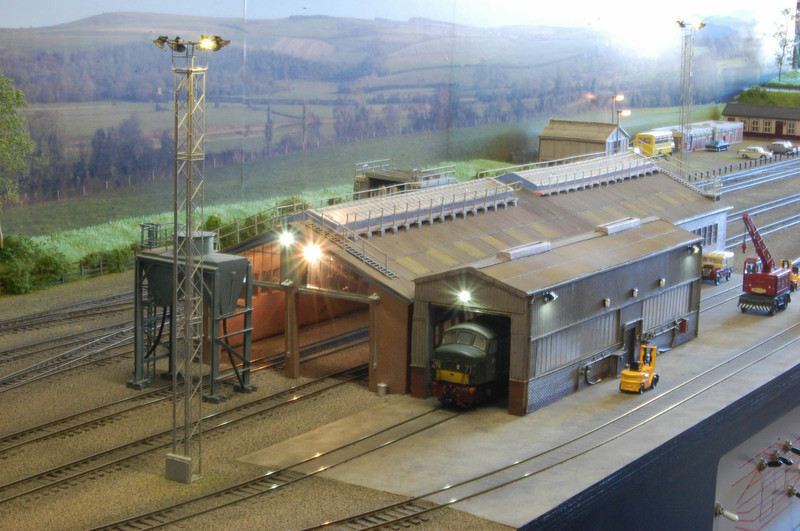 An extension for 'Ouse Valley Viaduct'. 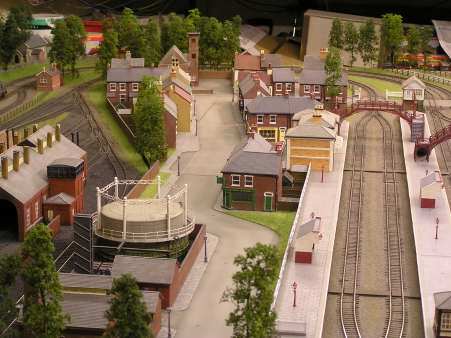 A busy "Continental Style' layout built with children in mind.